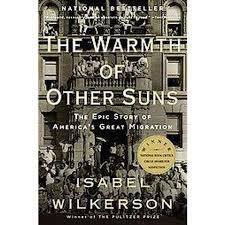 Isabel Wilkerson’s 2011 book, The Warmth of Other Suns, follows three individuals, representative of the six million Black Southerners who participated in the Great Migration to northern or western destinations during the period 1915-1970. After a discussion of the book, take a docent-led tour of selected works that enhance this Pulitzer Prize-winning work. Book clubs, civic, church, and other community groups can request a private tour by contacting Julie Olson Anna at julie.olsonanna@mintmuseum.org. For more information on the Art of Reading tours, visit our website.